68 episodes of Climactic since the first episode, which aired on April 22nd, 2018. 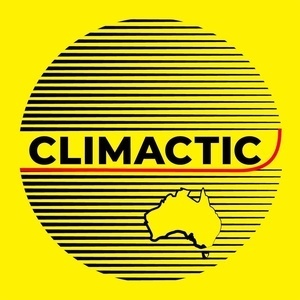 In her first episode of Climactic, host Georgia Sheil interviews Gretchen Miller, a twenty year ABC radio feature creator, audio artist, and Climactic's own special advisor. Hear beautiful excerpts of Gretchen's work for the ABC, RN, and BBC, and her perspective on how to make change, and how to live well in the time of climate change. New member of the Climactic Collective, Bronwyn Gresham, brings us this week's episode. An interview with Carolyn Ingvarson, founder of influential Melbourne residents group Lighter Footprints, on how the group came about, her approach to leadership, activism, and the climate crisis, and valuable lessons for other groups on how to be effective. Mark announces the new changes to Climactic, and brings you an episode of the AIRAH on Air podcast about Australia's first large-scale carbon-neutral housing estate. Second bonus episode from the National Sustainable Living Festival in Melbourne. The veteran hosts of The Sustainable Hour joined in a great conversation with two of the Melbourne organisers of Climate Leaders. Enjoy! In this bonus episode from the National Sustainable Living Festival in Melbourne, we hear from Carol Ride, founder of Psychology for a Safe Climate, on the tenth anniversary of Victoria's Black Saturday fires.